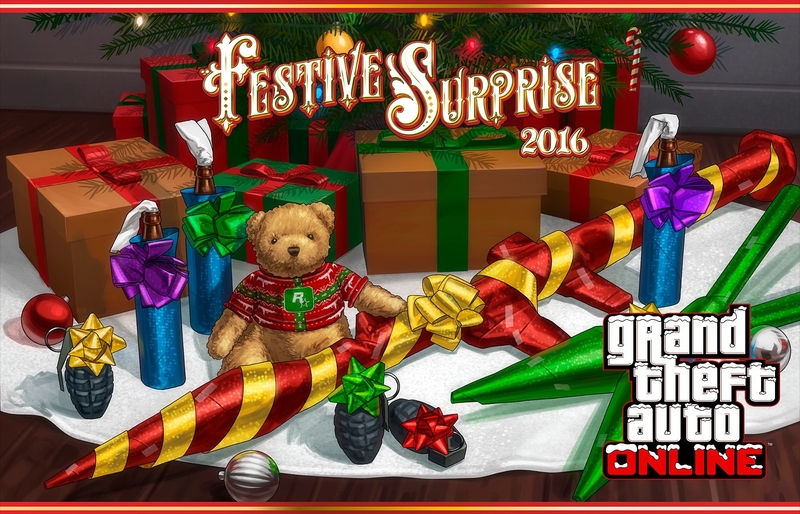 Christmas officially comes a few days early with the Festive Surprise 2016, now available in GTA Online. This holiday season includes brand new festive items in stores across Los Santos, as well as the return of all your favorites from past holiday seasons, along with a new Super class vehicle offering compliments of Benny’s Original Motor Works. Get in the holiday spirit with new seasonally-themed Sweaters and Hats, along with all the returning classic Masks, Santa outfits and other festive clothing - all available to add to your inventory absolutely free now through January 9th. Light up the streets with colorful new Bodysuits available for purchase from clothing stores; each with illumination settings to glow, pulse or flash. Or get lit like your drunk uncle with the Firework Launcher, returning to the shelves at Ammu-Nation (and under the trees of all the good little boys and girls in Southern San Andreas on Christmas Eve) to help you celebrate the holidays in explosive style while you wait for that rare Los Santos snowfall phenomenon. 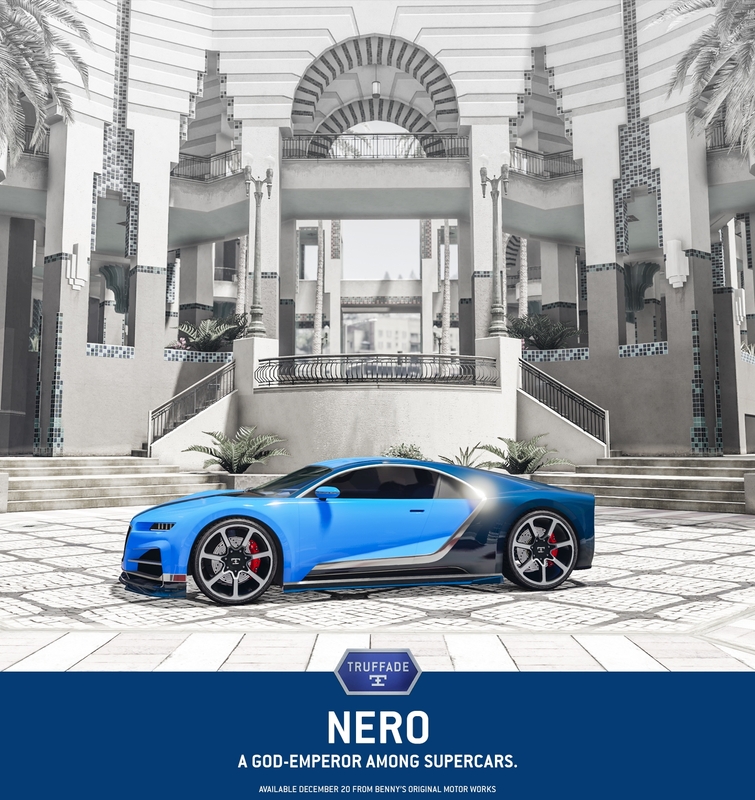 Coming out of the holy modification temple known as Benny's Original Motor Works, the highly customizable Nero is easy on the eyes with its sleek design and also packs plenty of zip. And keep your eyes open throughout the holiday season for more special vehicle inventory updates at Benny's, as part of GTA Online: Import/Export. Available through Sunday January 2nd, log in to GTA Online to unlock the sophisticated Bold Pinstripe Smoking Jacket and Pajamas. What holiday would be complete without oversharing pictures on LifeInvader to try and make all your casual acquaintances red-and-green with envy? Snap your new gifts, or capture a Christmas miracle and enter the #FESTIVESURPRISE2016 Snapmatic Contest. Tag relevant pics with #FESTIVESURPRISE2016 on Social Club for a chance to be one of five chosen Snapmatic photographers, who will each receive a hefty holiday bonus of GTA$1,000,000. Valid submissions must be taken any time between today and 11:59 PM ET on Monday, January 2nd. Official Rules. The benefits of territorial battling continue as Double GTA$ & RP on the new Turf Wars Adversary Mode has been extended. Through this Thursday, December 22nd, stand your ground and paint your enemy's tiles at twice the profit. Be your own Secret Santa and gift yourself with any of these GTA Online items, available at 25% off now through January 2nd - featuring everything from luxury vehicles and real estate to weaponry. 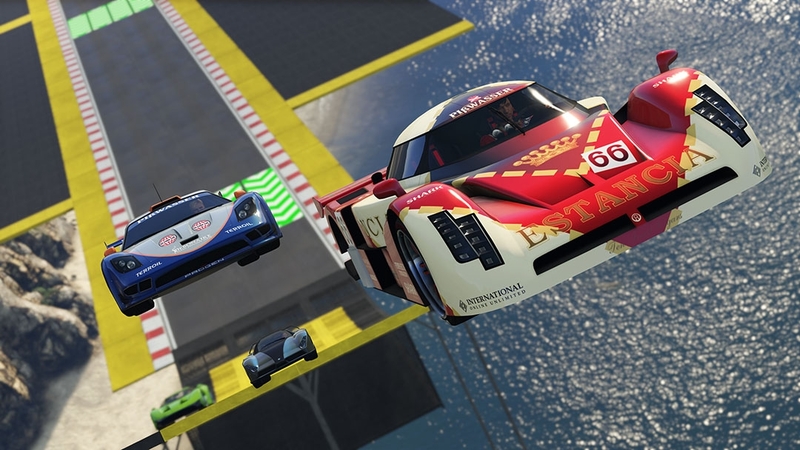 The latest Stunt Race to get the Premium treatment in GTA Online is "Plummet". Now through January 2nd, hit the yellow blip at Legion Square or enter via the Quick Job App on your in-game phone to compete for GTA$ prizes as one of the top three finishers. Regardless of how you fare, you'll earn Triple RP just for participating.